½ kg of boiled matumbo. 1 ½ tablespoon of all spice mix. Clean the matumbo well and cut it into sizeable pieces. Put the cleaned matumbo in a sufuria with enough water and boil well. Reduce the heat (by slightly closing the SuperSaver air regulator) and simmer for 20 minutes. Drain the remaining stock and reserve it. Set matumbo aside. Place your pan on the fire and pour in the oil. Once the oil is hot, pour in the diced onions and cook until they are golden brown. Add your garlic and cook for a while before adding the tomatoes and the finely chopped hoho. Sprinkle the salt and spice mix, cover and cook for 5 minutes. Uncover the mixture and stir until it becomes thick. Add the matumbo and stir well until it is fully coated with tomato and onion paste. Add the stock that you had put aside and let it simmer over low heat. 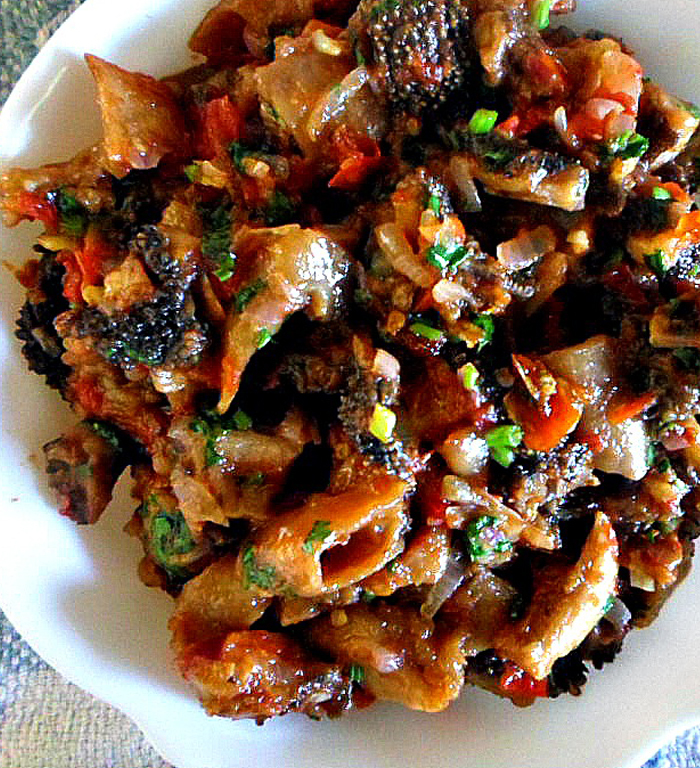 Season your stew with pepper before serving hot, as matumbo is best eaten while it is still hot.